Crissy Criss has been on the scene since the age of 11, but his work has only improved with time and his latest EP is further proof of this. Following tracks and collaborations such as ‘Kick Snare’ and ‘Tika Toc’, Crissy Criss has released a new EP of his own work, and it’s a smash.The radio 1xtra drum and bass guru knows how to blend different genres to create the perfect mixture for dancefloor mayhem. This mixture of styles is showcased in ‘More Than Ever’; a space odyssey style build up leads to a combination of dark dub over a faster drum and bass beat that is out of this world. ‘Need me’ takes the record in a dubstep direction; this track is like a great 90’s dance tune updated with grimy dub beats. The strong vocal and piano threaded through make this a perfect club piece. ‘Everybody’ is fast paced and gets faster and grimier as the beat goes on. A huge build up to the theme ‘Everybody in the club get hyper’ tells you what to expect when you drop this track. ‘Gangsta’ is a slower and more intense bass tune which starts with arcade effects and slow sirens. This is an original sound, which makes use of a broken up reggae styled vocal. 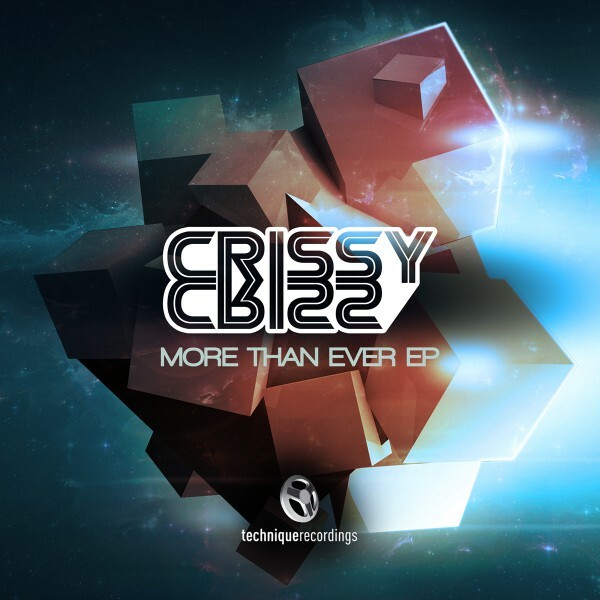 Crissy Criss has a long history in drum & bass but continues to shine with this new EP, which demonstrates once again his ability to mix styles and still produce dancefloor smashing beats.